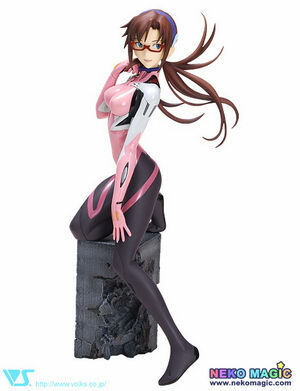 September 12th, 2014 By: GGT Category: 2014/11 release, Figure News. 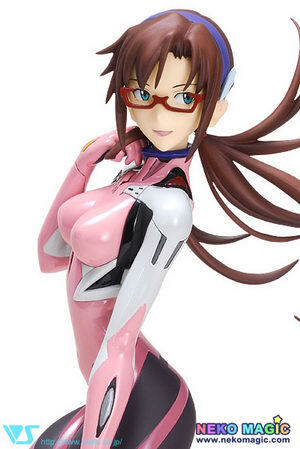 Volks CharaGumin is going to release the Makinami Mari Illustrious ( 真希波・マリ・イラストリアス) 1/8 colored resin cast GK from the Neon Genesis Evangelion movie “Evangelion: 3.0 You Can (Not) Redo” ( ヱヴァンゲリヲン新劇場版Ｑ ). Will be released in Fall 2014. Around 220mm tall, 10,000 yen. Kit is NOT pre-painted nor completed. Volks exclusive. Here comes four CharaGumin GK from Volks! 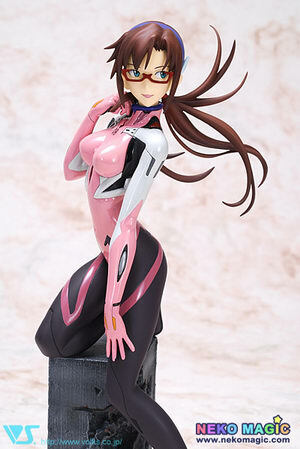 But beside Prisma Illya is available at Volks Website Store HERE now, Miyu, Koizumi, and Mari are not yet available. They were available for advance pre-order at Volks Showrooms all over Japan, Hobby Square Kyoto, as well as via mail order and at the Volks Website Store from September 6 to 7, 2014. And they will be available at Volks Website Store later. This immortal character is now appearing as a CharaGumin! One of its most charming point is the gorgeous color scheme of each part! The newly designed plug suit is perfectly recreated in color resin parts, so you can get the different feeling between rubber parts and the inner wear.